In Texas, the “6 Drop Rule” prohibits dropping more than six classes after the "Census Date". 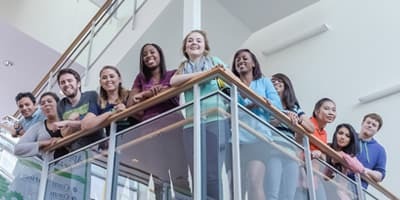 If you are an undergraduate student and started as a first-time undergraduate at any community college, four-year college, or university in the fall of 2007 or later, you cannot drop more than six courses during your entire Texas college career. The rationale for this rule is based on a Texas law designed to motivate and encourage course completion and the timely attainment of a degree. What happens after you drop six classes? If you have already dropped six classes, and wish to drop a seventh, the request will be denied. Unless you qualify for an exception, you must complete the course. 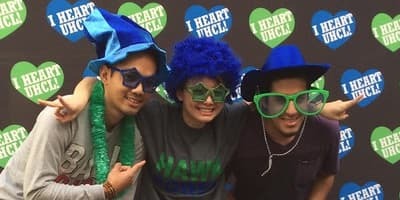 Do the courses you dropped before coming to UHCL count as part of the six? 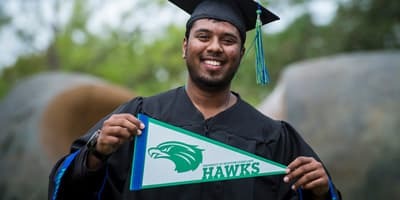 Yes, courses dropped prior to enrolling at UHCL count towards the total. At UHCL we identify the courses you dropped at other Texas colleges as “transfer drops.” You can see how many individual and cumulative courses you have dropped on the E-services portal. You go on active duty service with the U.S. armed forces or Texas National Guard. The supporting documents necessary to request an exemption are the same as needed for complete withdrawals from the university for reasons such as illness, family death, or military service. For a change in your work schedule you will need a letter from your supervisor on letterhead or with company contact information. We help you keep track of your course-drop status. You can find your transferred drop counter and your UHCL drop counter on your Student Center page in E-services. Your transcript will indicate either a WQ or WX code. If you drop a UHCL course with a WQ code, it will count toward the six classes you are allowed to drop. If a dropped course is listed with a WX code, the class will not count against your allowable six dropped courses. We also use this WX code when a course is dropped for administrative reasons. It is permitted for you to drop courses through the Census Date without penalty. But, after the Census Date, and if you have reached the maximum six dropped courses, we will restrict your E-Services account inhibiting you from dropping any more classes without prior authorization. If your E-Services access is blocked you will need to request to drop a further classes. If you have questions, please make an appointment with your academic advisor. To petition for an exemption, submit the 6 Drop Exemption Form and the necessary documentation to the Office of Academic Records. If you have reached the six-drop limit, and wish to withdraw from all classes during the semester, please fill out the 6 Drop Exemption Withdrawal Form.